A disagreement letter allows you to express concerns or frustrations in a constructive and assertive way. There could be many reasons for you to write a disagreement letter. For instance, a management conflict at work could put you at odds with other members of the management, or a local government decision could adversely affect your property. Whatever the issue is, your disagreement letter must express your opinion in a clear and direct manner, yet remain courteous and never be rude. In writing your disagreement letter it is important that your English writing be clear and correct so as to avoid misinterpretation. Your message needs to be heard exactly as you intend, so it is worth putting some extra effort into your English grammar and writing style. 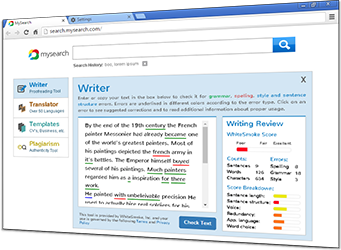 As an all-in-one solution, WhiteSmoke features a grammar checker, a spell checker, a thesaurus software and an online dictionary. 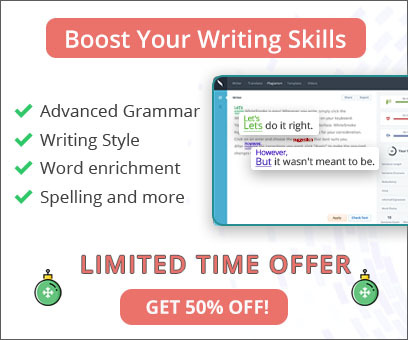 Combined with unique enrichment features, WhiteSmoke will make your English writing stand out. By following these simple tips for your disagreement letter, you are half way there. Now you need to make sure your message is not lost in an ineffective writing style, or with incorrect English grammar. WhiteSmoke Writing Software is the most complete writing tool available for this task.